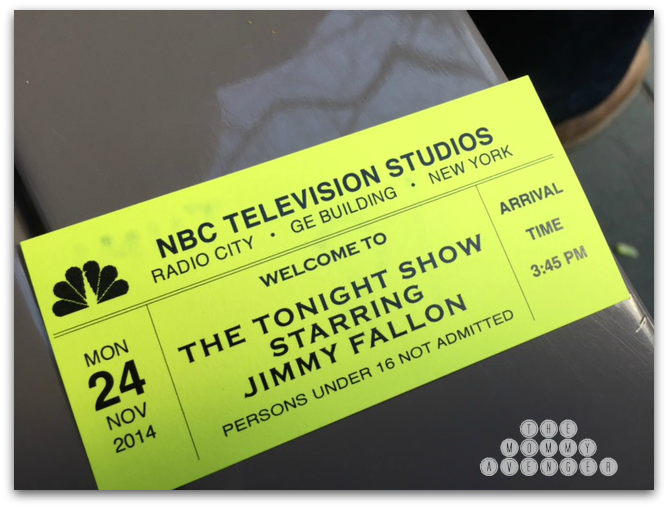 I had the opportunity to go into New York City for a taping of The Tonight Show with Jimmy Fallon yesterday. It was so much fun! Tickets are hard to get, but if you can, you definitely should try! The whole process of getting into the taping is really well organized. 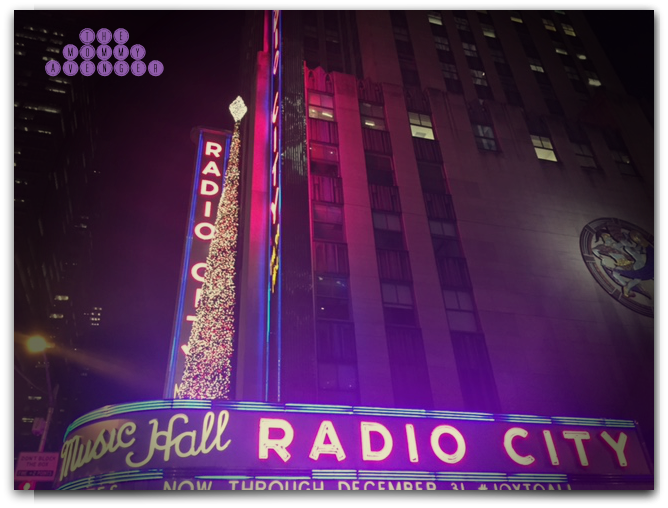 Show up, get your tickets, and then you have some time to explore the area before reporting back and going into the studio. 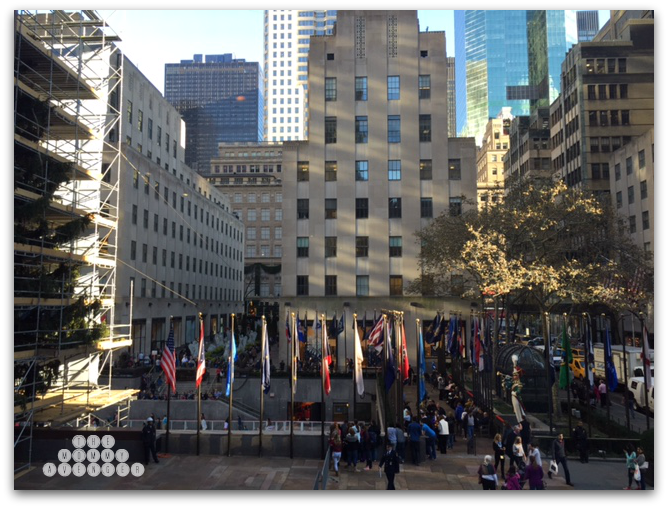 I loved the view from inside 30 Rockefeller Center looking out onto the ice skating ring with the tree to the left of the view. What a cool building to work in! Unfortunately, there is no photography allowed when you are there beyond the point where you get your tickets, although I wish I could take you to see behind the scenes at a taping. Tim Allen, Will.i.am. and Dej Loaf were guests and it as a blast being part of the audience. It was especially fun seeing it on TV later that night and seeing ourselves on the show, with my husband getting a high five from Jimmy. All in all we were there from getting the tickets to wrapping the show for four hours and it is an experience I would love to have again! 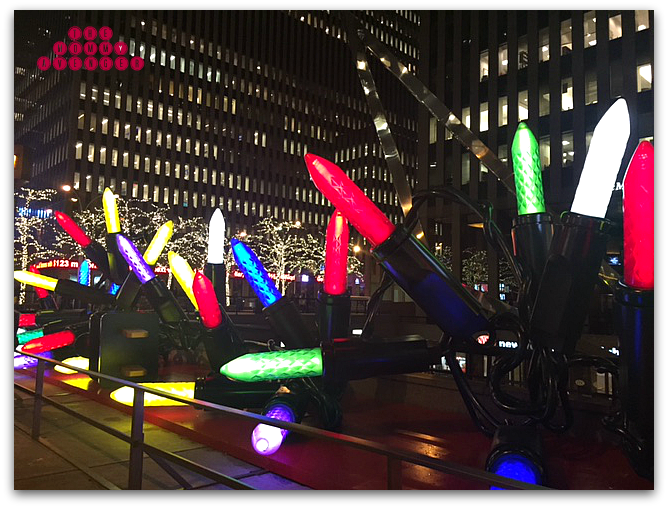 After the taping, I caught a couple of holiday sights that made me smile. 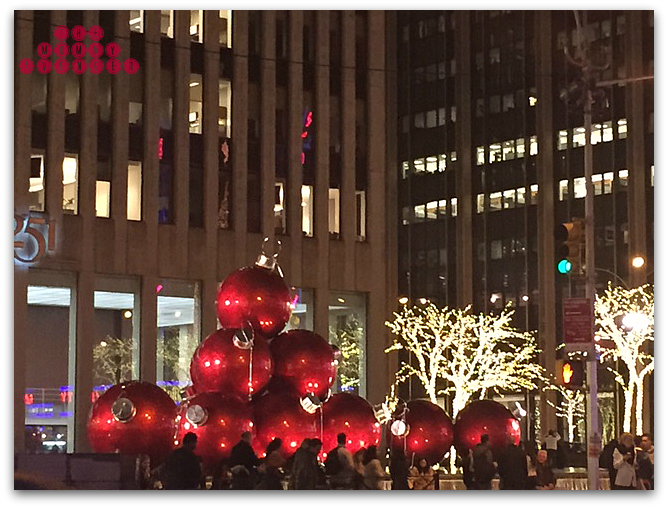 You have to love New York City all year round, but especially at Christmas! It made me realize that the holidays have really, truly arrived and Christmas is exactly a month away! This year flew by! So, here’s wishing you and your family a Happy Thanksgiving and a wonderful start to your holiday season! Don’t forget, if you have lots of shopping to do, check out our 2014 Holiday Gift Guide for lots of great ideas for your family.